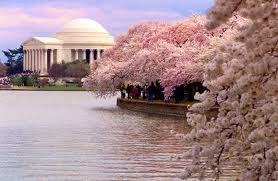 The National Cherry Blossom Festival in Washington DC is a celebration of early spring, commemorating the March 27, 1912 gift of Japanese cherry trees from the mayor of Tokyo, Yukio Ozaki, to the city of Washington. The purpose of the gift was to promote the growing friendship between two countries on opposite sides of the world. 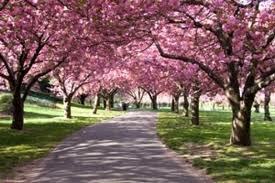 For 24 years, Eliza Scidmore, the first female board member of the National Geographic Society, had been urging the planting of cherry blossom trees along the Potomac. She must have really regretted young George Washington's ax-ident. But, finally, she got her point of view across. The arboreal gift was initially planted ceremonially by First Lady Helen Taft and Viscountess Chinda, the wife of the Japanese Ambassador, on the north bank of the Tidal Basin in West Potomac Park. I have had the pleasure of seeing the cherry trees many times along the Mall and the Reflecting Pool behind the Capitol building and it is an incomparable sight. This year, as we have been enjoying a warmer spring than usual, it should be an excellent experience to walk under the trees and appreciate the wonders of nature. For my reading at this centennial of the cherry blossoms, I headed toward Naomi Hirahara's small gem of a series featuring Japanese-American gardener Masao ("Mas") Arai. 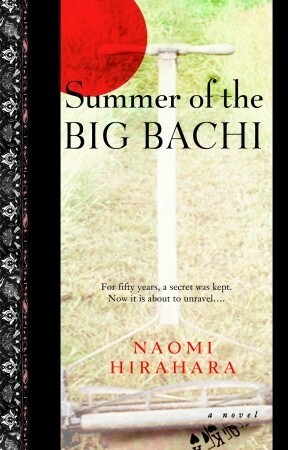 The story begins with Summer of the Big Bachi. Arai is in his seventies and his life is a wreck. His wife has recently died of cancer, he is becoming estranged from his only daughter and, finally, his job of landscape gardening in Los Angeles is threatened by young illegals from the south. Japanese-Americans are a unique group. As far as I know, they are the only people who have names for the different generations within their group. The SOB (straight off the boat) are the Issei; their children, the second generation, are the Nisei; and their grandchildren, or third generation, are the Sansei. 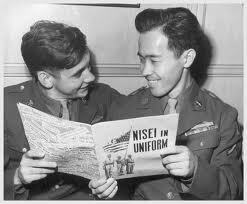 There is a subgroup, the Kibei Nisei, who were born in America and raised in Japan. Mas Arai is one of these young men. 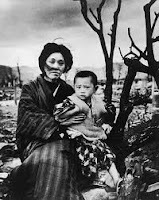 He was a youngster of school age when he and his buddies were playing hooky in 1945 Hiroshima in an underground train station when an atomic bomb was dropped on the naval base. He was knocked unconscious and when he came to, he emerged from the station to see sights so horrific they were burnt into his memory forever. Slightly less than half of the population was killed. Of the survivors, more than 500 eventually returned to their birthplace––the USA. Most of Arai's group of friends also survived, and it is about them that this first mystery revolves. Bachi basically means what goes around comes around, and Mas Arai's past has come to the present and he is equipped to deal with it. 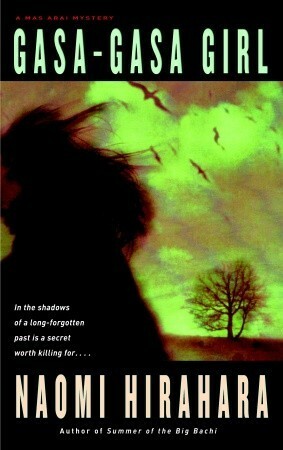 Summer of the Big Bachi was a finalist for the 2005 Macavity Award for Best First Novel. Mas Arai's personality and history are explored more deeply in Gasa-Gasa Girl. Mari Arai was always known to her parents as being gasa-gasa, an into-everything kind of girl; just the opposite of laid back. Mas Arai, her dad, tells her she takes after her mother. Mari retorts that her mother claimed it was a trait taken from her father. This may be the closer to the truth. Mas Arai had dreams of becoming an engineer, but his life took another path. Established in his routines, Mas Arai knows that retirement is not a word for him, but he is willing to take time out for a trip to New York because Mari, his daughter, has called for help. He is just getting his feet accustomed to concrete sidewalks when he discovers the dead body of his son-in-law Lloyd's boss in a koi pond. The victim was Kazzy Ouchi, a magnate in the silk garment industry and the son of a humble gardener at a big New York City estate. 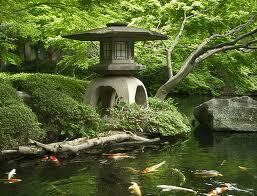 He was planning the development of a new Japanese garden in Brooklyn. Mas becomes enmeshed in the complex affair because Mari and Lloyd are in the middle of this imbroglio and both are suspected of being the killer. Mas investigates so that he can exonerate them. In this story, Mas is revealed as a taciturn man who may appear to be a grumpy old man, but that is just a facade for a quiet philosopher who suffers fools badly. It is amusing to read about Arai's views on how East Coast and West Coast Nisei are different. 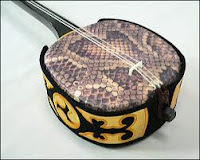 In Snakeskin Shamisen, Mas Arai is still a part-time gardener, now getting a reputation for solving murders. In this story, he gets involved in the death of a recent lottery winner. The situation is complex and reaches back to Okinawa and World War II, as well as to the Red Scare in the 1950s, and highlights some of the bad things men do for what they think are good reasons. There are a lot of characters to keep straight in this story, and convoluted motives, but you won't regret reading this book, both for the history and the mystery. Japanese-Americans are resilient people who suffered great indignities and hardships in the course of their history in the Western Hemisphere. It was not until the 1950s that they were allowed to become naturalized American citizens. Despite being interned during the war, losing their property and more, they elected to look to the future rather than to the past. The tidbit I took home concerns the history of the Japanese in Peru. Peru recruited Japanese laborers beginning at the end of the 19th century but, over time, resentments grew against Japanese residents, similar to the resentments against Asian immigrants to the United States. After World War II broke out and the US began interning its own Japanese residents, the US government also sought to take control over the Japanese in Latin American countries. In part, this was a security effort, but there was also a plan to trade these Japanese for US prisoners of war held in Japan; the idea being that it might be too controversial to use the US's own Japanese residents for this purpose. Peru sold their Japanese citizens to the US in effect, because they received large loans from the US for agreeing to round up their Japanese and send them to the US. Thousands of Japanese from Peru were imprisoned in internment camps in Texas and New Mexico. At the end of the war, only a few dozen returned to Peru, because Peru refused to take most back. Those who did manage to return found that their assets and properties had been confiscated. Many of the internees were sent to Japan after the war, but several hundred languished in an internment camp in Crystal City, Texas, for two years after the war while they fought an eventually successful battle to stay in the US. 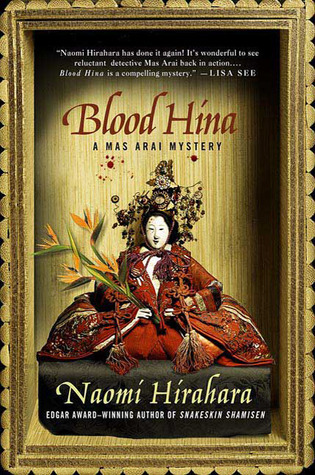 The last in the Mas Arai series is Blood Hina, published in 2010. I am really looking forward to reading this book. I ordered it two weeks ago but it is coming to me via slow boat from Japan. 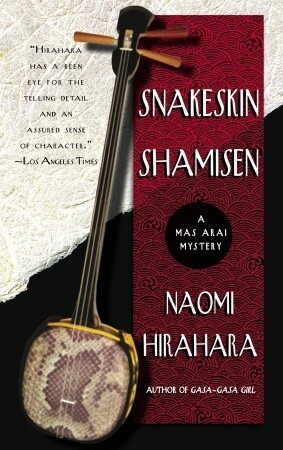 I have several other favorite authors who have books based in Japan or are written by by a native of Japan. I. J. Parker writes about 11th century Japanese life and she chronicles the adventures of Sugawara Akitada, a nobleman/detective. This series is engrossing. The later books in the series are hard to find, except on Kindle, but at least they are finally reaching their fans. Akimitsu Takagi's The Tattoo Murder Case is an interesting mystery that takes place in 1947 Tokyo and was originally written at that time and in that terrible immediate postwar period. It is an interesting bird's-eye view into the recovering Japan. Akimitsu Takagi, who died in 2005, was a popular and prolific writer in Japan, but has only two other books published in English. 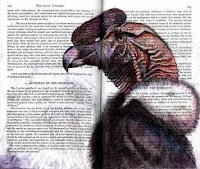 In fact, it took nearly 50 years for The Tattoo Murder Case to be translated. I have also enjoyed Sujata Massey and Laura Joh Rowland. John P. Marquand's Mr. Moto books are new to me, but I did enjoy the first, Your Turn, Mr. Moto. MC, my jaw dropped to the floor when I read about the kidnappings and sale of people post WWII. Sister, you know a lot about the period, had you heard of this? The naming of the different generations is also fascinating information. Thanks! I read and enjoyed Hirahara's first two books and will look for the others. I'd never heard this story about the Japanese from Peru, even though I thought I knew a lot about the Japanese internment camps in the US. What an astonishing story. I did check this on Wikipedia and it was on that site that I found that some people were indeed sent back to Japan in exchange for American prisoners, but not all. It is amazing that the President of Peru was a Japanese-Peruvian. About the only thing I did know about Japanese in Peru was that Alberto Fujimori was the Peruvian president and was of Japanese ancestry. I remember he was convicted of human rights violations and bribery and sent to prison. I think he's still there.